Researchers from the University of Nottingham have found that daily trimming of fingernails and toenails in an effort to make them look better may actually be harmful and potentially may lead to serious nail conditions. 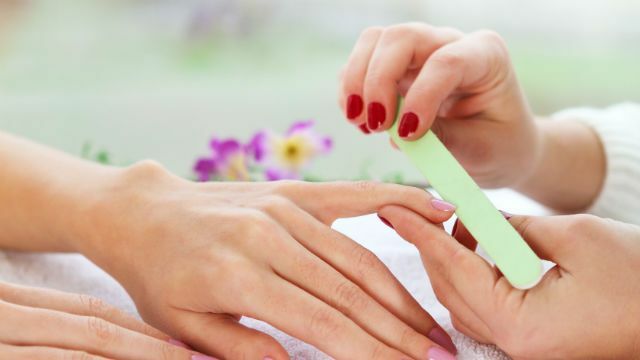 The residual stress that results may promote a change in shape or curvature of the nail over time which, in turn, can lead to serious nail conditions, researchers say. For this study, the researchers reportedly focused specifically on ingrown toenails which, to date, lacks satisfactory treatment, while the causes also remain largely unknown. They accounted for the “strong adhesion of nails to their bed through tiny, microscopic structures, which allow the nail to slide forwards and grow in a ‘ratchet-like’ fashion by continuously binding and unbinding to the nail,” according to ScienceDaily.com. Researchers also took into account mechanical stresses and energies associated with the nail to come up with an overall shape equation that revealed when the balance between growth and adhesive stress is broken. This can occur when a nail grows too fast or too slow, or the when the number of adhesive structures change, causing a residual stress across the entire nail resulting in a change of shape over time. While residual stress may occur on any fingernail or toenail, they report the stress is greater for nails that are larger in size and have a flatter edge, explaining why ingrown toe nails predominantly occur in the big toe. This residual stress may be brought about by a number of factors, such as age or change in metabolic activity, but their equations also found that poor nail trimming often amplifies the stress. While humans who are fanatic about trimming their nails should certainly keep this in mind, the researchers are hoping to apply this information to farm animals and conditions associated with their hooves, which can threaten their lives. Hey Buddy!, I found this information for you: "Study Shows Nail Beauty Fanatics May Be Doing More Harm Than Good". Here is the website link: https://www.thealternativedaily.com/study-shows-nail-beauty-fanatics-may-harm-good/. Thank you.